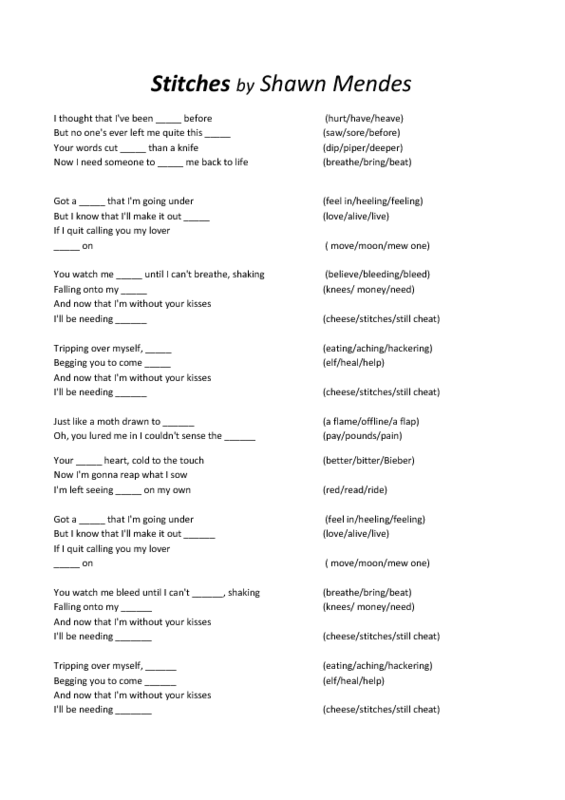 This is a simple listening activity with the famous song "Stitches" by Shawn Mendes. It is created for 12 to 16 years old students to work on synonyms, and have fun with music. The students have to fill the gaps with one of the three words offered. Once they have completed the lyrics, they can sing along.